Christine Ramsay serves as Director of Compliance for Ingerman. As such, she is responsible for ensuring compliance regulations are met within the Low Income Housing Tax Credit (LIHTC) Program, Department of Housing and Urban Development’s Section 8, Public Housing and HOME programs, along with other various affordable housing programs. Ms. Ramsay is also responsible for establishing, implementing and executing internal policies, procedures and best practices to ensure the Property Management team maintains compliance with all housing programs. Ms. Ramsay first joined Ingerman in 1994 and served as a District Property Manager. In 1997, Ms. Ramsay worked for the Pennsylvania Housing Finance Agency (PHFA) as a Housing Management Representative. While at PHFA, she gained a thorough knowledge of the Low Income Housing Tax Credit (LIHTC) and other affordable housing programs. 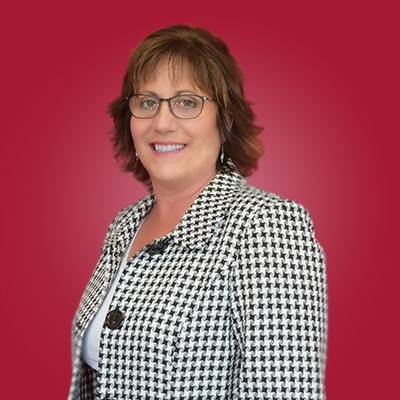 In 2003, Ms. Ramsay once again joined the Ingerman team, this time in the capacity of Director of Compliance, and was charged with establishing the Compliance Department for Ingerman’s growing portfolio of affordable housing units. Since that time Ms. Ramsay has been instrumental in contributing to the continued growth of Ingerman by establishing and maintaining strong compliance practices within the management company. Drexel University in 1984. She currently holds the Certified Credit Compliance Professional (C14P) certification, along with the Accredited Housing Manager (AHM), Certified Occupancy Specialist in Public Housing (COSP), and Blended Occupancy Specialist (BOS) certifications. Ms. Ramsay also earned her ARM (Accredited Residential Manager) certification through the Institute of Real Estate Management.